Millennials and Gen Z could potentially deliver the highest youth turnout in decades when they vote in the November 6 midterm elections -- yet that still could translate to less than one-third of them voting. The coveted 18-35 age demographic is increasingly politically engaged, and yet many of us are also kind of lazy and must be bribed into doing our civic duty. Very well then. Do not include your ballot in the selfie! This is illegal in certain states -- you can check to see if yours is one of them here. Once you’ve done all that -- thank you for voting!! -- wait until November 7 to hear if you’re the lucky chosen one. The winner gets to choose from the following five itineraries; all trips are led by Contiki guides and include lodging, transportation, and most of your meals. 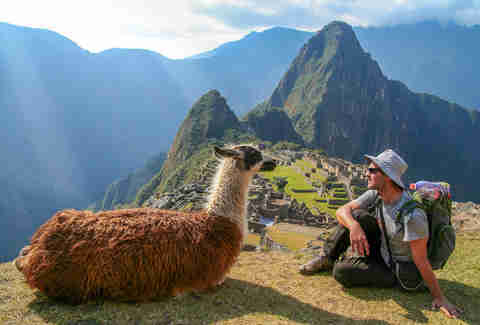 Oh, are you the last friend who’s not been to Machu Picchu? This is fixable. Contiki’s eight-day Peru trip sets off from Lima, taking you through the rainforest, up into the Sacred Valley, and finally into Cusco. There will be ceviche and Pisco Sours. Make sure you try some cuy (guinea pig) too; it really does just taste like chicken. It sounds trite, but there really is no other place on earth like the South Island of New Zealand. 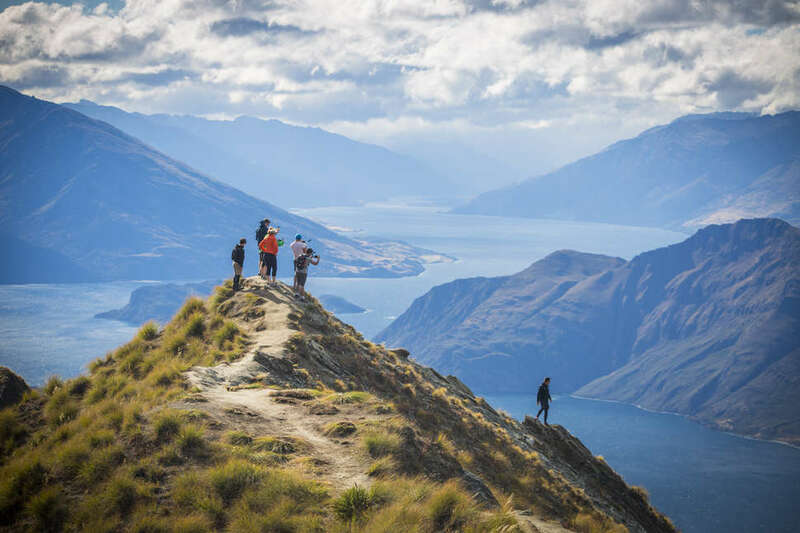 The glaciers, the fjords, the sheer volume of adventure-y activities available to you in Queenstown (including paying for a Fergburger, which I wish I could tell you wasn’t worth it when I visited a few years ago but unfortunately was just delicious). 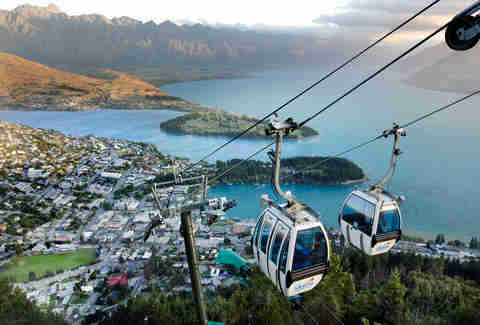 On this nine-day trip you’ll tour Christchurch, hike a glacier, cruise through the fjords, and bungee jump if you’re so inclined -- I recommend going all-in on the 469-foot-high Nevis, but Queenstown has also introduced the world’s first human catapult since I was there and so if you give that a whirl please let me know in the comments how it went. 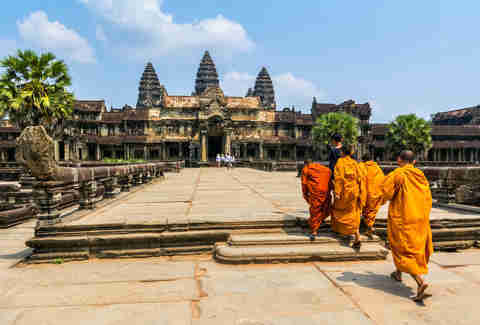 This Southeast Asia trip lasts nine days, during which you’ll climb waterfalls, go on bike tours, wander rivers and caves, meet local artisans, connect with local charities, and of course, hit the good street food spots and night markets. You’ll also pay a visit to the Tuol Sleng Genocide Museum in Phnom Penh -- which, personally, is the most difficult museum I’ve ever been in, but which absolutely can’t be skipped if you’re going to visit Cambodia -- as well as the unmissable Angkor Wat. This is a big one. Tapas, tagines, shopping crowded markets for pastries and intricate carpets, beaches, riverside bars, and clubs. 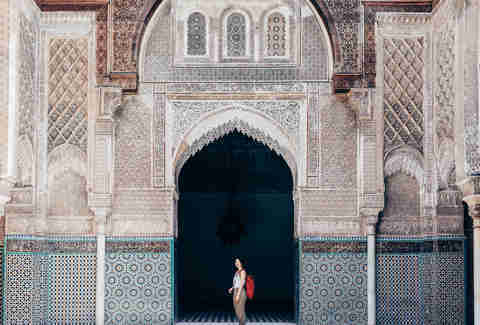 This 15-day trip starts you off in Madrid, Granada, and Seville before looping down through Morocco, where you’ll ride a camel or two before coming back up to Madrid via Lisbon. Also on the itinerary? Fez, Toledo, Marrakech, Casablanca, Rabat, Assilah, and Gibraltar. Come hungry. This eight-day trip stops at -- deep breath -- Cairo, Aswan, Giza, Edfu, Luxor, and Hurghada. You’ll browse the outdoor markets of Cairo and take a wooden boat down the Nile; you’ll spend three of the nights on the water. You’ll explore Luxor’s City of the Dead. You’ll lounge on the beach and snorkel in the Red Sea. You will, of course, see the pyramids.